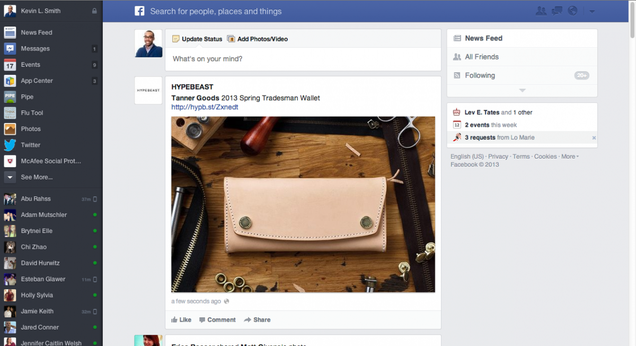 Last year Facebook debuted a nice redesign that featured big, beautiful pictures, seen above. But Facebook never rolled it out. Why? Because most people have crappy old computers.